WalkingDeadBr: On what, basically, changed your life after the series success? Do you consider yourself accomplished for has given life to your history, or do you still wait something more? Robert Kirkman: I don’t feel any more accomplished due to the TV show. I tend to focus on the future much more than dwell on accomplishments of the past. I try to be more of a forward thinker and I definitely don’t want to become content, I want to continue to try and become a better writer at all times. I’m much busier these days, so in that sense my life has changed a great deal. The Walking Dead is a worldwife phenomonon now, as opposed to just being a successful comic book series. Still, I’m a family man and I spend most of my time at home working, so aside from the added workload, not much has changed. Let’s be honest, though… I do make slightly more money. WDBr: Existed some difficulty on the First Season recordings? In a brief summary, how could you say to us about the work employed in these six initial episodes? RK: For me it was a breeze, I spent some time on set but not more than a combined 4 weeks over the course of the show. I wrote one episode but that wasn’t too difficult. I think the cast and crew would tell you it was difficult, and I could see that it was for them. The pace was quick, the temperatures were hot and they had a lot of work to do to get those 6 episodes done. But for me, I just visited and watched, mostly. WDBr: For the fans that follow the HQ, what can you tell us? Can we wait some revealing death on the next volume? RK: I’m uncertain whether you mean the comic series or the TV show, but either way, I can say YES. People will always be dying in both versions of the story, that’s the nature of things, this is a dangerous world. There are things that will shock you coming up in the TV show and the comic series. WDBr: People that follow the HQ and the series realized the differences on the history soon in the first season. How do you see the changes in relation to the HQ and to the more Shiites fans that don’t like changes? RK: It was important to me from day one that the two versions, comic and show, remain seperate to a certain extent. The show follows the comic, there are very specific stories from the comic that will be adapted into the show, but from time to time, I want to surprise the comic fans. I can say that any changes made in the show are approved by me, so I’m always there to make sure they stay true to the tone and intent of the comic series. RK: Filming doesn’t start for another few weeks on the show. But I can say things are going really well so far and the second season is going to be bigger and better than the first season. RK: There will be more zombies in season 2. I can confirm that. As far as writing episodes goes, I’ll be doing at least one, possibly two. I’m still deciding. It’s a balancing act between TV and comics with me right now, so I have to make sure I can fit it in. WDBr: We see at the HQ a big diversity of human’s points. The survival question is not only in the zombie’s middle, the socials questions and the problems of the characters superego, such as the Governor, the relations on the community etc., and not simply the dry history and the cliché on the undead. When you started the history, did you think in emphasize this human side of the characters purposely? Some especial reason? RK: The human side, to me is what is most interesting in all zombie stories. I really just took what was already present in most zombie fiction and focused more intensly on that aspect of it. You can’t really tell a long-form continuing story if your readers/viewers aren’t interested in following the characters. You have to get them invested. The characters are the most important part. WDBr: We know that the zombie’s movies weren’t the inspiration on the Walking Dead creation. What’s your connect with the zombies? RK: I just love zombie movies, it’s as simple as that. One day I came upon the idea that they really don’t have to end. Wouldn’t it be cool to see a zombie movie that just keeps going and allows you to follow those characters in that world for years? That initial nugget of an idea became The Walking Dead. WDBr: In the 75th edition you said, in answer to a letter, that you wouldn’t intend to reach the end of the history and when the ideas end up you would start to add aliens or different things. Do you really think in this way? What can you advance about the next HQ’s editions? WDBr: Recently was released a book called Warm Bodies, from Isaac Marion, that tells the history of a forbidden love between a zombie and a human. This book will be adapted to the movies and soon we’ll have a teenager movie about a zombie in love. Do you think that the concept of a classic zombie is changing with the time? Would you adopt the idea of a affective relationship zombie versus human in the history of The Walking Dead in the future? RK: Absoultely not… I think that stuff is pretty gross. There are certain things that just won’t work with Walking Dead. I wish Isaac Marion the best of luck and I’m sure his novel is great, I’ll have to check it out. But really, the idea of human on zombie love seems a bit too silly for The Walking Dead. WDBr: Tell us a little bit more of your work on the “The Infinite”. How it’s work with a character that travels on time? What exactly can we expect from this adventure? RK: Work on THE INFINITE is going really well. I like trying new things and delving into science fiction has been a blast. I will say that doing a time travel story is incredibly complicated but working with artist and co-creator Rob Liefeld has been absolutely great and I think this book is really going to be quite cool. I highly recommend it, but then, I’m a little biased. WDBr: How it’s work more and more with Frank Darabont, Gale Anne Hurd and so much other fantastic producers in the series? RK: It’s amazing and I really do feel like I’m getting to kind of learn on the job and I’m gaining a great deal of experience just by being near these folks. So I must say, my time on this series is becoming very valuable and Frank and Gale and the rest of the people involved in this show have been very gracious towards me while I move along my learning curve. WDBr: If you could indicate someone from the cast with you are more identified giving life to a character that’s yours, who would be? Why? RK: Jon Bernthal is doing amazing things with Shane. He wasn’t that well defined in the comic book series and Jon is really turning him into a much bigger character with his performance. I absolutely love Jon’s work on the show. WDBr: Would you be prepared to live in a zombie apocalypse? What would be your plans/goals to your survival? RK: I wouldn’t last ten minutes. My plan would be to die as painlessly as possible. WDBr: We know that the secret is the soul of the business but, at least on the plan that you imagine or already imagined for the HQ’s future, there’s or will it be presented a cause to the zombie contamination in the world? RK: I don’t have any plans to reveal that, frankly. I think that being unknown is much more compelling and having the answer to that wouldn’t really bring anything into the story. WDBr: And finally, but not less important: could you send a “hi” to the Brazilians fans, sending a video or a picture, and recommending the best Brazilian fansite (www.walkingdeadbr.com)? RK: I’m not so good with technology, so I can’t really make a video. WalkingDeadBr: No que basicamente mudou a sua vida logo após o sucesso da série? Você se considera realizado, por ter dado “vida” a sua história, ou ainda espera algo mais? Robert Kirkman: Eu não me sinto mais realizado devido a série. Eu tendo a me focar mais no futuro do que se alimentar de realizações passadas. Eu tento ser mais alguém que pensa adiante e eu definitivamente naum quero me tornar o conteúdo, eu quero continuar tentando e me tornar um escritor melhor toda vez. Estou muito ocupado ultimamente, nesse sentido, minha vida mudou muito para melhor. The Walking Dead é um fenômeno mundial agora, não mais só uma série em quadrinhos de sucesso. Mesmo assim, eu sou um homem de família e gasto a maior parte do meu tempo trabalhando em casa, então além de aumentar a carga de trabalho, não mudou quase nada. Sejamos honestos, sério… eu faço um pouco mais de dinheiro. WDBr: Existiu alguma dificuldade nas gravações da 1ª Temporada? Em um breve resumo, como você poderia nos dizer sobre todo o trabalho empregado nesses 6 episódios iniciais. RK: Para mim foi como uma brisa, eu gastei algum tempo no set, não mais que as 4 semanas combinadas durante o curso da série. Eu escrevi um episódio mas isso não foi difícil. Eu acho que o elenco e a equipe diria que foi difícil, e eu pude ver que foi para eles. Era um ritmo acelerado, a temperatura era alta e eles tinham muito trabalho para fazer aqueles 6 episódios. Mas pra mim, eu so visitei e assisti na maioria das vezes. WDBr: Para os fãs que acompanham a HQ, o que você pode nos dizer? Podemos esperar alguma morte reveladora no próximo volume? RK: Eu não estou certo se você quer dizer a série dos quadrinhos ou a série de TV, mas em ambos os casos eu posso dizer SIM. Pessoas vão sempre estar morrendo em ambas as versões da história, é a natureza das coisas, esse é um mundo perigoso. Há coisas chegando que vão chocá-los, tanto nos quadrinhos como na série de TV. WDBr: Quem acompanha a HQ e a série percebeu as diferenças na historia logo na primeira temporada. Como você vê essas mudanças em relação à HQ e aos fãs mais ‘xiitas’ que não gostam de mudanças? RK: É importante para mim a partir do primeiro dia que as duas versões, quadrinhos e série de TV, permanecam seperadas até certo ponto. A série segue os quadrinhos, existem histórias muito específicas dos quadrinhos que foram adaptadas para a série de TV, mas de tempos em tempos, eu quero surpreender os fãs dos quadrinhos. Eu quero dizer que qualquer alteração na série é aprovada por mim, eu seja, eu sempre vou estar lá para garantir que continue fiel com o tom e o propósito dos quadrinhos. RK: As filmagens não começaram por mais algumas semanas. Mas eu posso adiantar que as coisas estão indo realmente bem até agora e a segunda temporada vai ser maior e melhor que a primeira. RK: Haverão mais zumbis na segunda temporada. Isso eu posso confirmar. Quanto a escrever episódios, eu vou fazer pelo menos um, possivelmente dois. Ainda estou decidindo. É um ato balanceado entre a série de TV e os quadrinhos comigo, então eu tenho que ter certeza que eu me encaixo. WDBr: Vemos na HQ uma grande diversidade de pontos simplesmente humanos. A questão de sobrevivência não só no meio dos zumbis, as questões sociais e os problemas de super-ego de outros personagens, tais como o Governador, as relações na comunidade, etc, e não simplesmente a historia seca e ‘clichê’ de mortos vivos. Quando você começou a historia, pensou em enfatizar esse lado humano dos personagens propositalmente? Algum motivo especial? RK: O lado humano, para mim, é o que mais interessa nas histórias de zumbi. Eu só peguei o que já estava presente na maioria das ficções zumbi e foquei intensamente esse aspecto dela. Você não consegue contar uma história longa e contínua se os seus leitores/espectadores não estão interessados nos personagens. Você tem que deixá-los envolvidos. Os personagens são a parte mais importante. WDBr: Sabemos que os filmes de zumbis não foram a inspiração na criação de Walking Dead. Qual é a sua ‘ligação’ com os zumbis? RK: Eu simplesmente amo os filmes de zumbis, simples assim. Um dia surgiu a idéia que eles não precisavam acabar. Não seria legal ver um filme de zumbi que continue e permita que você siga aqueles personagens naquele mundo por anos? Esse esboço inicial de idéia se tornou The Walking Dead. WDBr: Na edição #75 da HQ você disse, em resposta a uma carta, que não pretendia chegar a um fim da história e quando as ideias acabarem começaria a adicionar aliens ou coisas diferentes. Pensa realmente dessa maneira? O que pode nos adiantar sobre as proximas edições da HQ? RK: Bem, isso foi uma piada. Eu não tenho a intenção de arruinar essa obra quando eu estiver sem idéias. E colocar alienígenas iria arruinar essa série. O que eu quis dizer é que eu planejo que essa série continue por muito tempo. Eu acabaria definitivamente com a série se eu estivesse sem idéias, mas grato, eu já tenho idéias suficientes guardadas de lado para nos manter continuando por mais ou menos outra década. WDBr: Recentemente foi lançado um livro chamado Warm Bodies, de Isaac Marion, que conta a historia do amor proibido de um zumbi e uma humana. 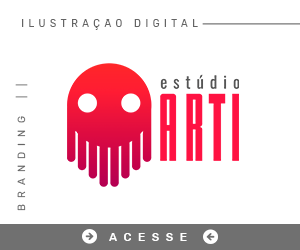 Esse livro vai ser adaptado para os cinemas e logo teremos um filme adolescente sobre um zumbi apaixonado. Você acha que o conceito do zumbi clássico está mudando com o passar do tempo? Você adotaria a ideia de relação afetiva zumbi x humano na historia de The Walking Dead no futuro? RK: Absolutamente não…Eu acho que isso é bem nojento. Há certas coisas que simplesmente não sem encaixam com Walking Dead. Eu desejo sorte a Isaac Marion e tenho certeza que seu romance é excelente, eu vou ter que conferir. Mas sinceramente, a idéia de um amor entre humano e zumbi parece um pouco boba para The Walking Dead. WDBr: Nos fale um pouco mais do seu trabalho em The Infinite. Como esta sendo trabalhar com um personagem que viaja no tempo? O que exatamente podemos esperar dessa aventura? RK: O trabalho em THE INFINITE está indo realmente bem. Eu gosto de tentar coisas novas e mergulhar na ficção científica tem sido demais. Eu vou dizer que fazer histórias de viagem no tempo é incrivelmente complicado mas trabalhar com o artista e co-criador Rob Liefeld tem sido absolutamente ótimo e eu acho que essa obra realmente vai ser bem legal. Eu recomendo mesmo, mas eu sou meio suspeito pra falar. WDBr: Como está sendo trabalhar cada vez mais com Frank Darabont, Gale Anne Hurd e tantos outros produtores fantásticos na série? RK: É maravilhoso e eu realmente sinto como ficando próximo de aprender esse tipo de trabalho e ganhando uma grande experiência só de estar perto desses caras. Então eu tenho que dizer, meu tempo nessas séries tem se tornado muito valiosos e Frank e Gale e o resto das pessoas involvidas na série foram muito amáveis comigo durante minha curva de aprendizado. WDBr: Se você pudesse apontar alguém do elenco com quem você mais se identificou dando vida a um personagem seu, quem seria? Porque? RK: Jon Bernthal está fazendo coisas incríveis com Shane. Ele não era tão definido nos quadrinhos e Jon está realmente tornando ele um personagem muito maior com essa performance. Eu absolutamente amo o trabalho de Jon na série. Dito isso, eu não posso apontar um só ator e dizer que que eu estou infeliz. Nós temos um elenco fabuloso. WDBr: Você estaria preparado para viver um apocalipse zumbi? Quais seriam seus planos/metas para sua sobrevivência? RK: Eu não duraria dez minutos. Meu plano seria morrer com o mínimo de dor possível. WDBr: Sabemos que o segredo é alma do negócio, mas, ao menos no plano do que você imagina ou já imaginou para o futuro da HQ, existe ou será apresentada uma causa para a “contaminação” zumbi no mundo? RK: Eu francamente não tenho nenhum plano para revelar. Eu acho que ficar desconhecido é muito mais atraente e ter a resposta para isso realmente não traria nada para a história. Eu não sou tão bom em tecnologia, então eu realmente não consigo fazer um vídeo. Obrigado pela entrevista! Robert Kirkman no Super Dinosaur Day!